Tina Raine-Bennett, MD, MPH, is a senior research scientist at the Kaiser Permanente Northern California Division of Research and the research director of the Women's Health Research Institute. She received her medical training at the University of California, San Diego and post-graduate residency training and MPH at the University of Washington in Seattle, where she also completed a Robert Wood Johnson Clinical Scholars Fellowship. She is a board certified obstetrician-gynecologist with special interest in adolescent risk behaviors and reproductive health. Prior to coming to the Division of Research, Dr. Raine-Bennett was a professor in the Department of Obstetrics, Gynecology, and Reproductive Sciences at University of California, San Francisco (UCSF). She was based at San Francisco General Hospital where she was also the medical director of the New Generation Health Center, a UCSF affiliate site that seeks to help teens and young women avoid unintended pregnancy. Dr. Raine-Bennett's research has focused on elucidating factors that influence contraceptive choice and continuation and she is principal investigator on NIH grants to assess hormonal contraceptive use in high-risk women and develop interventions to improve contraceptive use. Her past and current research on emergency contraception has focused on the safety of making emergency contraception more accessible and she recently completed an industry trial to make emergency contraception available to teens without a prescription. She served on the editorial board of Obstetrics and Gynecology and is currently a reviewer for the journal. She is an examiner for the American Board of Obstetrics and Gynecology and also serves on national committees for the American College of Obstetrics and Gynecology and the National Medical Board of Planned Parenthood Federation of America. 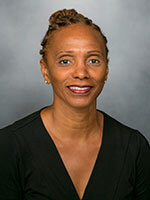 In her position as research director of the Women's Health Research Institute, Dr. Raine-Bennett focuses on expanding research on women's health within the Division and translating women's health research into clinical practice within the Ob/Gyn departments in Northern California. She also promotes the involvement of clinicians in research designed to improve the health outcomes and health care experiences of women at Kaiser Permanente and women in general. ​Incidence and management of ectopic pregnancy have undergone significant changes in recent decades. There is a general consensus that available effective contraceptive methods reduce the absolute risk of ectopic pregnancy. Ectopic pregnancy incidence rate has not been well-documented in the last decade, and the mix of methods of contraceptives used has changed significantly over this time period. The goal of this project is to assess the feasibility of and generate data using electronic health records on ectopic pregnancy incidence, risk factors, and management trends in the general population and in women using select contraceptive methods, particularly intrauterine devices. This cohort study will use DXA scans to: 1) establish the incidence of abnormal DXA scans in women post testing positive for BRCA1 or 2 mutations who have undergone risk-reducing salpingo-oophorectomy (RRSO); and 2) identify risk factors for abnormal DXA tests. The study will also examine lipid profiles to: 1) establish the incidence of abnormal lipid profiles in women post testing positive for BRCA1 or 2 mutations who have undergone RRSO; and 2) identify risk factors for abnormal lipid profiles. Secondary aims are to evaluate the incidence of adverse health outcomes in women with BRCA mutations, undergoing RRSO, including sexual dysfunction, menopausal symptoms, increase in BMI, development of hypertension, hyperlipidemia, diabetes, depression, new cancers, including BRCA-related (ovary/peritoneal, breast, melanoma) and other cancers, and identify risk factors which are associated with adverse outcomes. The NICHD Contraceptive Clinical Trials Network (CCTN) will consist of up to 16 sites capable of performing female contraceptive clinical trials. Each site will work with the CCTN Statistical and Clinical Coordinating Center and NICHD to rapidly develop protocols and initiate clinical trials. The CCTN sites contractors will evaluate systematically the safety and efficacy of new female contraceptive drugs and devices as well as drug treatments of gynecologic conditions. ​​Obstet Gynecol. 2016 Jan;127(1):29-39. doi: 10.1097/AOG.0000000000001187. Author(s): Clifford GM; Raine-Bennett T; Mirabello L; et al. Papillomavirus Res. 2019 Feb 06;7:67-74. Epub 2019-02-06. Gynecol Oncol. 2018 Oct 09. Perm J. 2018 Sep 10;22. Epub 2018-09-10. Med Care. 2018 May 29. Author(s): Yu K; Raine-Bennett TR; Schiffman M; et al. J Natl Cancer Inst. 2018 Apr 11. Author(s): Demarco M; Fetterman B; Lorey T; Poitras N; Raine-Bennett TR; Schiffman M; et al. J Clin Microbiol. 2018 Feb 28. Clin Cancer Res. 2018 Feb 02. Gynecol Oncol. 2017 Jul 24. J Adolesc Health. 2017 Mar 06. Papillomavirus Res. 2015 Dec 1;1:3-11. J Natl Cancer Inst. 2016 Sep;108(9). Epub 2016-04-29. Patient Educ Couns. 2016 Aug 24. Cancer Epidemiol Biomarkers Prev. 2015 Jun 18. Patient Educ Couns. 2015 Jun 3. Int J Cancer. 2015 Feb 15;136(4):E146-53. Epub 2014-09-03. Gynecol Oncol. 2015 Sep;138(3):573-8. Epub 2015-07-04. J Clin Microbiol. 2015 Jan;53(1):52-9. Epub 2014-10-22. Prev Med. 2013 Dec;57(6):883-8. Epub 2013-10-12. Contraception. 2013 Jul;88(1):18-23. Epub 2013-01-03. J Low Genit Tract Dis. 2013 Apr;17(5 Suppl 1):S43-9. J Low Genit Tract Dis. 2013 Apr;17(5 Suppl 1):S28-35. J Low Genit Tract Dis. 2013 Apr;17(5 Suppl 1):S36-42. J Low Genit Tract Dis. 2013 Apr;17(5 Suppl 1):S64-8. J Low Genit Tract Dis. 2013 Apr;17(5 Suppl 1):S78-84. J Low Genit Tract Dis. 2013 Apr;17(5 Suppl 1):S69-77. J Low Genit Tract Dis. 2013 Apr;17(5 Suppl 1):S50-5. Obstet Gynecol. 2013 Feb;121(2 Pt 1):229-30. J Adolesc Health. 2013 Jan;52(1):77-82. Epub 2012 Oct 8.